Journalism is now one of the most sought - after professional courses among students pursuing a career in print .and electronic media and advertisement. To fulfill the dreams of such young students, Dipras Institute a 14 year old Institute in South Kolkata’s prime location, Golpark, Kolkata conducting niche management courses, is ready to launch a unique course to offer hands on training on journalism, media production and advertisement. 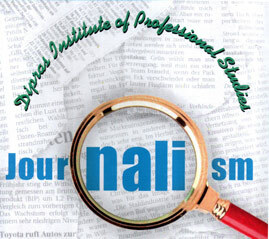 There is no dearth of Institutes in Kolkata offering courses in Journalism and advertisement. 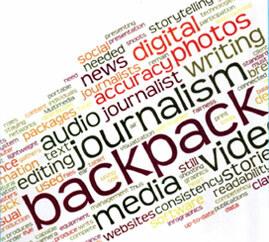 But the course offered by Dipras School of Journalism is unique and far different than the stereotype ones taught at most Institutes. What makes our course different and more attractive to the students? Ours is designed by a group of the best brains in the field of journalism and advertisement who have worked in reputable media houses of the country and abroad. Our faculty members have an experience of more than three to four decades in the field. To strike a balance between traditional and modern concepts of journalism we have also included in our team of faculties very renowned young journalists of the city. As for the content of the course the focus is on hands on and practical training rather than burdening the students on making them learn too many theoretical papers. Unlike the other Institutes we prefer to give more emphasis on practical training so that the students are able to deliver according to the expectations of the companies right from the time they join the profession. We are unique also because we extend individual care to each of our students. So we have restricted the number of seats to 15. Selection of students is held through rigorous screening done by experienced professionals. Applicants must pass Higher Secondary or equivalent examination. Classes will be held thrice a week. The duration of each class will be one and half hours. The course will be for three months duration. CERTIFICATES WILL BE AWARDED TO THE STUDENTS AFTER SUCCESSFUL COMPLETION OF THE COURSE.